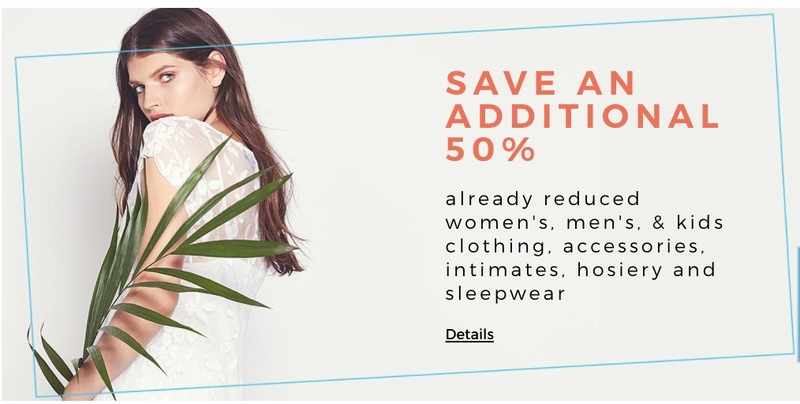 Sears Canada Sale: Save An Extra 50% Off Already Reduced Women’s, Men’s & Kids Clothing, Accessories, Intimates, Hosiery & Sleepwear! Sears Canada has a great offer available now! The Sears Canada offer includes: Save An Extra 50% Off Already Reduced Women’s, Men’s & Kids Clothing, Accessories, Intimates, Hosiery & Sleepwear! This offer is valid for a limited time, while supplies last. Sears Canada has FREE shipping on all online orders over $99. Click here to view Sears Canada offers.